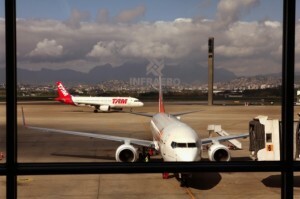 South African Airways (SAA) and Brazilian carrier TAM Airlines have finalised a codeshare agreement to increase access to popular destinations in both countries for both leisure and business travellers. Destinations in Brazil that will be accessible through the agreement are from Sao Paulo to Rio de Janeiro, Porto Alegre, Curitiba, Brasília, Salvador, Florianopolis, Iguaçu Falls, Recife and Belo Horizonte. Brazilian passengers flying to South Africa will have access to Johannesburg, Cape Town, Durban, East London and Port Elizabeth. A codeshare agreement is when one airline offers flights operated by another airline. “This codeshare provides a platform to tap into the potential that lies in both carriers’ respective markets in a manner that would significantly enhance benefits for passengers of both airlines,” SAA’s Commercial Acting General Manager, Manoj Papa, said in a statement last week. South African exports to Brazil reached around $848.6 million last year. Brazil remains the African nation’s largest trading partner in Latin America. Trade between South Africa and Brazil has seen steady growth in recent years. “Together with South African Airways we will make travelling between Brazil and South Africa easier, and the countries will be the gateways of the South American and African continents,” said LATAM Airlines Group Senior Vice President of Strategic Alliances, Soledad Berrios. South Africa’s International Relations and Cooperation Minister Maite Nkoana-Mashabane co-chaired the fifth session of the South Africa-Brazil Joint Commission with her Brazilian counterpart, Foreign Minister Antonio Patriota in July. The forum aims to boost trade and investment ties between the two countries.